1 Kansas City Chiefs "Lite" Arrowhead Neon Sign. 31x23x6. 36706 $135.00 $140.00	 login to bid. login to bid. Kansas City Chiefs "Lite" Arrowhead Neon Sign. 31x23x6. 2 Kansas City Royals Budweiser "Game Time" Neon Sign. 31x30x6. 89864 $155.00 $165.00	 login to bid. login to bid. Kansas City Royals Budweiser "Game Time" Neon Sign. 31x30x6. 3 Miller Lite Eagle Neon Sign. 35x15x7. 75448 $63.00 $68.00	 login to bid. login to bid. Miller Lite Eagle Neon Sign. 35x15x7. 4 O'Doul's Amber Neon Sign. As is. 30x18x5. 89864 $19.00 $20.00	 login to bid. login to bid. O'Doul's Amber Neon Sign. As is. 30x18x5. 5 Coors Light Neon Sign. 19x28x4. As is. 259 $12.88 $13.88	 login to bid. login to bid. Coors Light Neon Sign. 19x28x4. As is. 6 "It's Millertime" Miller Lite Can Sign. 23x35x7. 82976 $107.00 $112.00	 login to bid. login to bid. "It's Millertime" Miller Lite Can Sign. 23x35x7. 7 Kansas City Chiefs Bud Light Neon Sign. 28x21x6. 18229 $125.00 $130.00	 login to bid. login to bid. Kansas City Chiefs Bud Light Neon Sign. 28x21x6. 8 Kansas City Chiefs Bud Light "Official Beer Sponsor" Neon Sign. 28x21x6. 18229 $160.00 $170.00	 login to bid. login to bid. Kansas City Chiefs Bud Light "Official Beer Sponsor" Neon Sign. 28x21x6. 9 Budweiser Select Neon Sign. 30x23x5. As is. 89864 $17.50 $18.50	 login to bid. login to bid. Budweiser Select Neon Sign. 30x23x5. As is. 10 Bud Light ESPN 25th Anniversary Neon Light with Tickercom.com Scrolling Display. Scrolling display is model 01814. 28x28x6. 75448 $115.00 $120.00	 login to bid. login to bid. Bud Light ESPN 25th Anniversary Neon Light with Tickercom.com Scrolling Display. Scrolling display is model 01814. 28x28x6. 11 Michelob PGA 19th Hole Golf Bag Neon Sign. 32x11x7. 52803 $125.00 $130.00	 login to bid. login to bid. Michelob PGA 19th Hole Golf Bag Neon Sign. 32x11x7. 12 Budweiser Select Sign with Condensation Effect. 24x20x4. Budweiser Select Sign with Condensation Effect. 24x20x4. 13 Miller Lite Royals "Proud Partner of the Kansas City Royals" Sign. 33x28x6. 18229 $150.01 $155.01	 login to bid. login to bid. Miller Lite Royals "Proud Partner of the Kansas City Royals" Sign. 33x28x6. 14 Labatt Blue Sign. 21x25x5. As is. 259 $14.44 $15.44	 login to bid. login to bid. Labatt Blue Sign. 21x25x5. As is. 15 Full Sail Sign. 19x24x7. 66614 $39.00 $40.00	 login to bid. login to bid. 16 Amstel Light Sign. Crack in yellow plastic base. Missing cover over top white wavy neon section. 24x16x6. 92673 $20.00 $21.00	 login to bid. login to bid. Amstel Light Sign. Crack in yellow plastic base. Missing cover over top white wavy neon section. 24x16x6. 17 Labatt Blue Hockey Jersey Sign. 30x24x7. 1513 $130.00 $135.00	 login to bid. login to bid. Labatt Blue Hockey Jersey Sign. 30x24x7. 18 Rock Green Light Sign. Animated arrow. 22x22x6. 39583 $49.00 $50.00	 login to bid. login to bid. Rock Green Light Sign. Animated arrow. 22x22x6. 19 Miller Genuine Draft Sign. 33x24x7. As is. 27263 $20.01 $21.01	 login to bid. login to bid. Miller Genuine Draft Sign. 33x24x7. As is. 20 Foster's Lager on Tap. As is. 41x18x7. 84546 $25.00 $26.00	 login to bid. login to bid. Foster's Lager on Tap. As is. 41x18x7. 21 Pabst Blue Ribbon Guitar Sign. 34x29x5. 18229 $145.00 $150.00	 login to bid. login to bid. Pabst Blue Ribbon Guitar Sign. 34x29x5. 22 Rolling Rock Bottle Sign. 14x41x8. 66614 $43.00 $44.00	 login to bid. login to bid. Rolling Rock Bottle Sign. 14x41x8. 23 Smirnoff Ice Bottle Sign. 13x32x7. 66614 $45.00 $46.00	 login to bid. login to bid. Smirnoff Ice Bottle Sign. 13x32x7. 24 Budweiser Ice Draft Bottle Sign. 43x13x5. Budweiser Ice Draft Bottle Sign. 43x13x5. 25 AD SPACE. 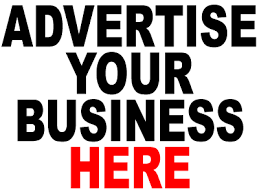 See your business listed here, along with services offered and contact information! Let your clientele list grow with targeted ads on our auction listings. Call 816-353-1301 for details. AD SPACE. See your business listed here, along with services offered and contact information! Let your clientele list grow with targeted ads on our auction listings. Call 816-353-1301 for details. 26 Bacardi and Coke Round Sign. 26x26x5. 75448 $31.00 $32.00	 login to bid. login to bid. Bacardi and Coke Round Sign. 26x26x5. 27 Salem Cigarette Neon Sign. 23x22x6. 66614 $40.00 $41.00	 login to bid. login to bid. Salem Cigarette Neon Sign. 23x22x6. 28 Coors Light "OPEN" Sign. 24x19x6. As is. 18229 $45.00 $46.00	 login to bid. login to bid. Coors Light "OPEN" Sign. 24x19x6. As is. 29 Coors Dry Sign. 29x22x6. As is. 259 $6.00 $7.00	 login to bid. login to bid. Coors Dry Sign. 29x22x6. As is. 30 Bacardi and Coke Round Sign. 26x26x5. As is. 39583 $10.02 $11.02	 login to bid. login to bid. Bacardi and Coke Round Sign. 26x26x5. As is. 49773 $60.00 $65.00	 login to bid. login to bid. 32 Coors Light NASCAR 40 Sign. 30x22x7. 66614 $49.00 $50.00	 login to bid. login to bid. Coors Light NASCAR 40 Sign. 30x22x7. 33 Molson Ice Sign. 18x21x7. 66614 $25.00 $26.00	 login to bid. login to bid. 34 Rolling Rock Sign. 25x21x4. As is. 259 $18.89 $19.89	 login to bid. login to bid. Rolling Rock Sign. 25x21x4. As is. 35 Icehouse Ice Brewed Neon Sign. 29x18x6. As is. 12205 $10.00 $11.00	 login to bid. login to bid. Icehouse Ice Brewed Neon Sign. 29x18x6. As is. 36 Miller Lite Burger Neon Sign. 21x22x7. As is. 13 $24.00 $25.00	 login to bid. login to bid. Miller Lite Burger Neon Sign. 21x22x7. As is. 37 Bacardi Silver Bat Light. 27x27x6. 60016 $39.50 $40.50	 login to bid. login to bid. Bacardi Silver Bat Light. 27x27x6. 38 Lite Tropical Island Sign. 22x23x7. As is. 92673 $10.77 $11.77	 login to bid. login to bid. Lite Tropical Island Sign. 22x23x7. As is. 39 Miller Lite #2 NASCAR Light. 26x26x7. As is. Miller Lite #2 NASCAR Light. 26x26x7. As is. 40 Miller Lite True Pilsner Beer Sign. 36x34x7. 10 $68.00 $73.00	 login to bid. login to bid. Miller Lite True Pilsner Beer Sign. 36x34x7. 41 Cold Olympia Beer Sign. 41x18x6. 1086 $51.00 $56.00	 login to bid. login to bid. Cold Olympia Beer Sign. 41x18x6. 92673 $25.00 $26.00	 login to bid. login to bid. 43 Budweiser 2015 MLB World Series Kansas City Royals Champions Light. 32x29x5. 89864 $425.67 $450.67	 login to bid. login to bid. Budweiser 2015 MLB World Series Kansas City Royals Champions Light. 32x29x5. 44 Bud Light Kansas City Royals Jersey Light. 34x34x8. 18229 $155.00 $165.00	 login to bid. login to bid. Bud Light Kansas City Royals Jersey Light. 34x34x8. 45 Coors Light IMG Sports Network University of Kansas Jayhawk Sign. 33x19x10. 30900 $130.00 $135.00	 login to bid. login to bid. Coors Light IMG Sports Network University of Kansas Jayhawk Sign. 33x19x10. 46 KC Bier Co. 18 inch round sign. 10181 $56.01 $61.01	 login to bid. login to bid. KC Bier Co. 18 inch round sign. 47 Sam Adams Light Round Sign. 16x20x8. 18229 $23.22 $24.22	 login to bid. login to bid. Sam Adams Light Round Sign. 16x20x8. 48 Skyy Blue Sign. 25x9x6. 92673 $40.00 $41.00	 login to bid. login to bid. 49 JW Dundee Original Honey Brown Lager Sign. 21x16x7. 18229 $25.00 $26.00	 login to bid. login to bid. JW Dundee Original Honey Brown Lager Sign. 21x16x7. 50 JW Dundee Original Honey Brown Lager Sign. 21x16x7. As is. 95 $6.88 $7.88	 login to bid. login to bid. JW Dundee Original Honey Brown Lager Sign. 21x16x7. As is.